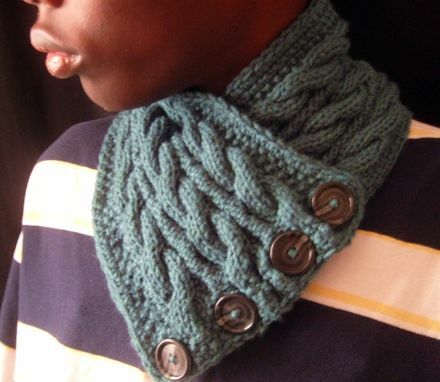 What's better than a cabled scarf? 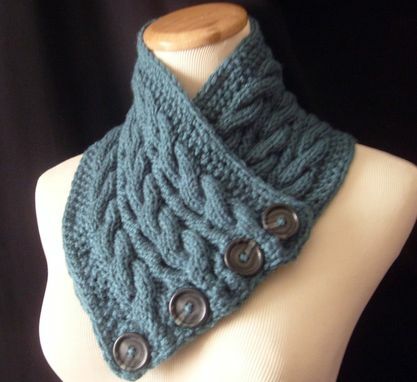 A cabled scarf with cables on BOTH sides! 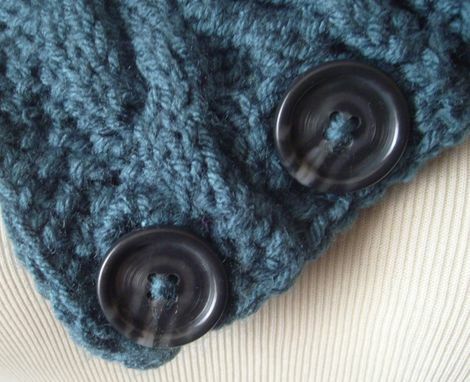 It' simple: One side features two rows of cables...the opposite side features three rows! 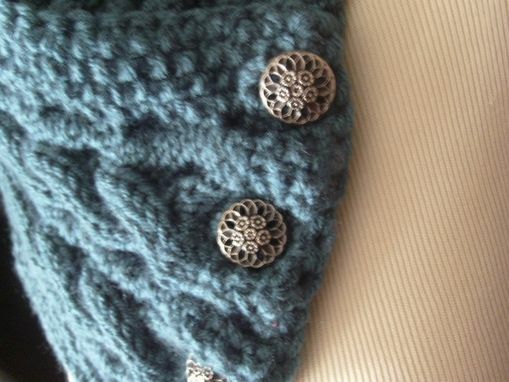 Two different sets of vintage buttons provide a masculine and feminine choice option. Although this scarf has been hand knit in soft acrylic yarn, it can be made in a wide choice of fibers..just send me a conversation and I'll make it happen! Makes a great "his and hers" scarf to share! Care - Machine wash in warm water, lay flat to dry. Maryum was amazing. 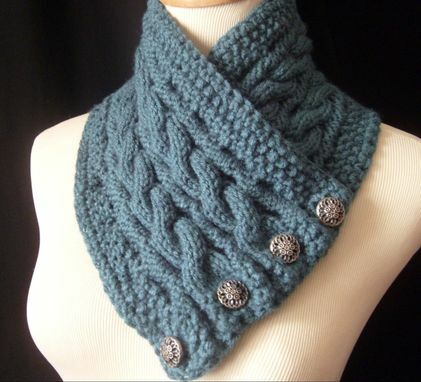 My new scarf is so beautiful, well-made and the yarn is absolutely stunning. I've only worn it 3-4x bc spring has arrived but each time, I've received compliments on it. She was also very professional and updated me along the way on progress. I would definitely recommend her work to anyone!! Thanks so much again, Maryum!! !